Completing high school and either deciding to pursue a career in the skilled trades, or continuing education in a chosen field through college courses are a couple of paths towards a fulfilling and rewarding career. Most of us have taken one of these paths and have been able to make a living and for some, land their dream job. I feel blessed to be among those who realized the latter. What do you do when you have symptoms of hypothyroidism, but your doctor says your thyroid levels are normal? You may have one of three lesser known causes of this frustrating condition. They were diagnosed with hypothyroidism at some point in their lives. They take some form of thyroid hormone replacement. 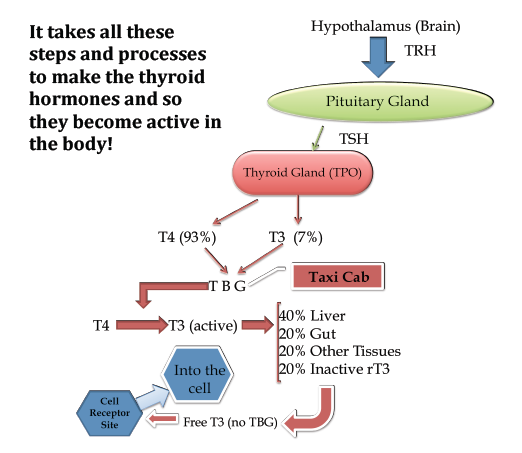 They continue to experience some degree of thyroid symptoms despite conventional treatment.